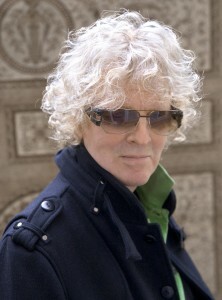 Legendary rocker Ian Hunter will be headlining the Hoboken Arts & Music Festival in Hoboken, NJ on Sunday, May 1. Hunter & The Rant Band will take the stage at 4:30PM on the Observer Hwy Stage (btw. Newark & Observer Hwy). The Festival runs from 11AM to 6PM and takes place on Washington St. between Observer Highway to 7th St. It's FREE and will happen rain or shine! With 3 stages of live music, over 300 artists, arts, crafts, food and more, there's sure to be something for everyone to enjoy. For more information, click HERE.